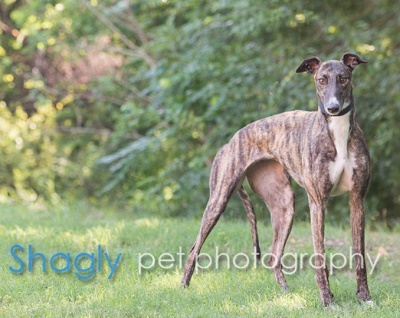 Wazee, aka Pat C Wazee, is a 2-year-old dark brindle female born July 7, 2014. Her sire is Pat C Game Face and her dam is Pat C Last Look. Wazee has 8 races on record in Florida in 2016. Wazee is not small animal or cat tolerant at this time. 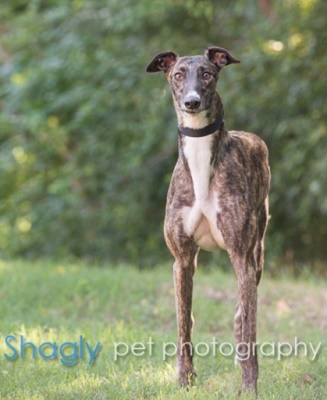 Wazee was part of the Greyt 32 Arrival!